For all of us cord-cutters out there, this Wineguard Flatwave Amplified Indoor HDTV Antenna by Winegard makes a great addition to our home theater experience. The cost of cable TV and satellite TV subscriptions have only gone up in the past few years and many have decided to ‘cut the cord’ entirely and just go with streaming content from the Internet. I have done the same thing by subscribing to Netflix and Amazon Prime Video. Other similar services include HBO and Hulu. Not to mention, free video from Youtube. 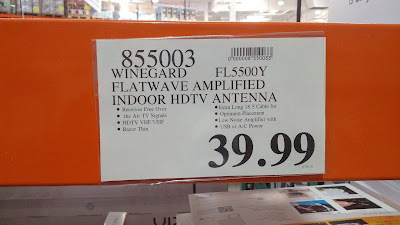 But to add to my Internet content, I also installed this Flatwave Amplified Indoor HDTV Antenna by Winegard to get HD-quality local broadcasts. The picture quality is just like the HD content from Comcast or Dish Network. 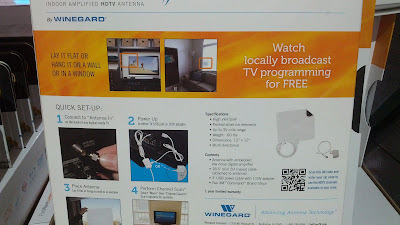 Eliminate your cable TV bill and get the Flatwave Amped Indoor HDTV Antenna by Winegard. 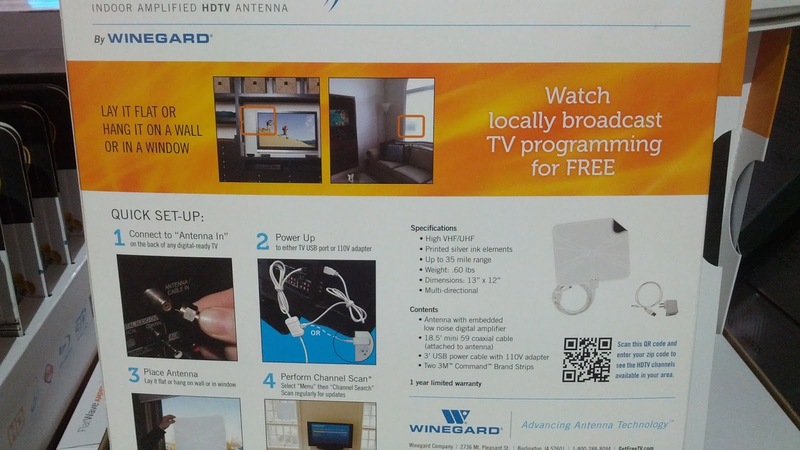 Watch your favorite shows with the Flatwave Amplified Indoor HDTV Antenna by Winegard. 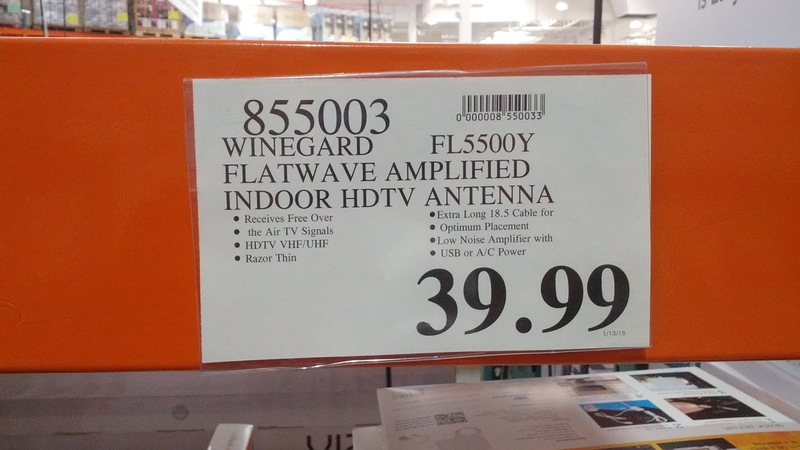 Flatwave Amplified Indoor HDTV Antenna by Winegard sold at Costco. 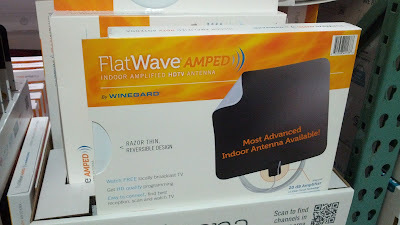 Flatwave Indoor Amplified HDTV Antenna – Most advanced indoor antenna available. Extra long 18.5-foot mini 59 coaxial cable attached to the antenna. Comes with a 3-foot USB power cable with 110V adapter. So thin that it can lay flat or hang it on a wall or window. Easy to install by connecting to the input of your HDTV, powering it up, and installing the antenna on a wall, windows, etc. Then do a channel scan to discover the free HD broadcast channels available.